The Type Six Mixer is a traditional 2-Piece Mixer with a 3:2 (drive:driven) gear ratio and a capacity of 60 to 120ml, depending upon the type of removable blades. The 2-Piece Mixer/Measuring Head is also offered with a 2:3 (drive:driven) gear ratio for distinguishing wider differences between polymer melts. C.W. Brabender mixing bowls and removable blades are cast of 304 Stainless Steel. Custom metallic and heat hardened surfaces are available upon request. A torque overload shear coupling is attached to each mixer, protecting the motor drives from torque overload and preventing damage to the Mixer/Measuring Head. The Type Six Mixer has 1 Heating Zone and can be supplied with a 3:2 or 2:3 (drive:driven) gear ratio. Roller Blades are most commonly used for materials that require a strong shear force to form a homogenous melt: thermoplastics, and many thermosetting resins such as phenolics and expoxies... typical studies: fusion, lubricity, heat stability, crosslinking, and degradation. 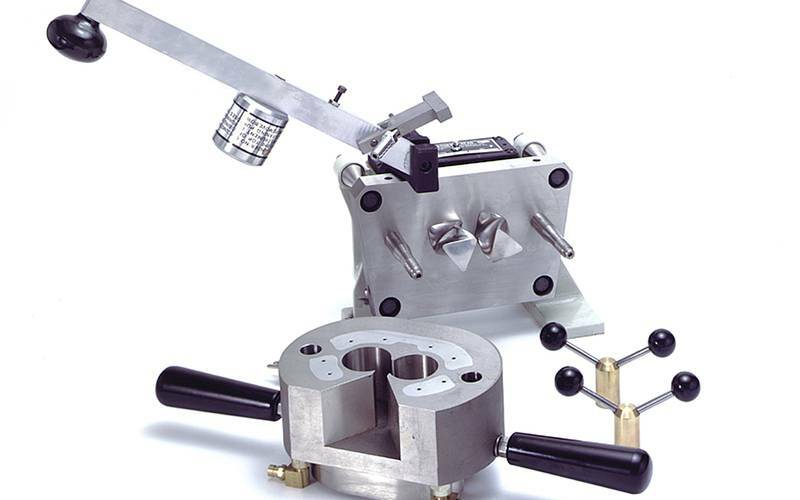 Sigma Blades are the original Brabender® Mixer blades developed several decades ago for the testing of flour dough... its low shear-rate design creates a tumbling and kneading force within the mixer without imposing a strong compressing force.